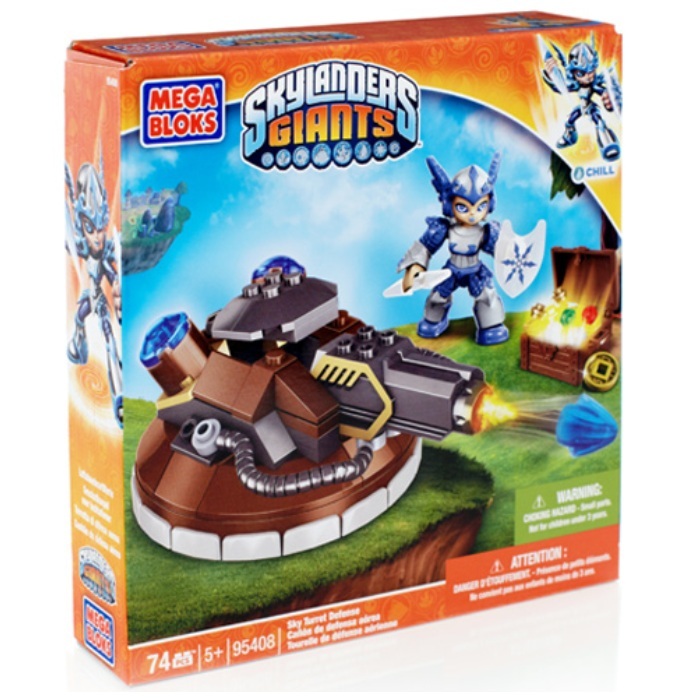 Product Detail Summary: Build up the barrier against Kaos’s minions with the Sky Turret Defense by Mega Bloks Skylanders GiantsTM! The buildable cannon with working launcher is commanded by the water Skylander Chill to destroy enemy targets from afar. When combat gets up-close and personal, her icy spear and shield make quick work of vanquishing foes.